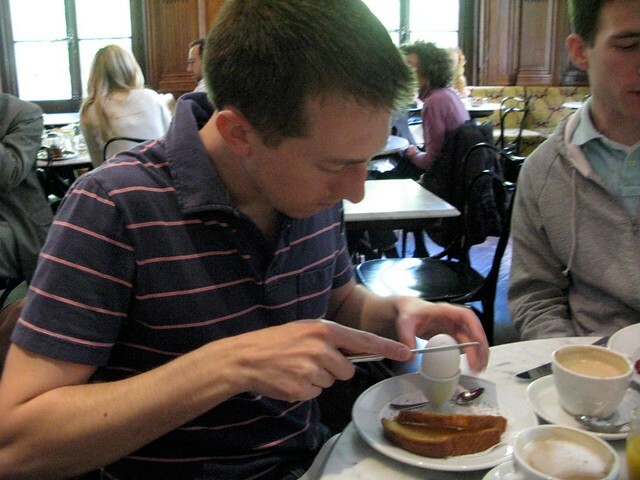 Two Sundays ago, after a morning of bird-watching with our ornithologist friend Morgan Tingley, I ate my first soft-boiled egg. 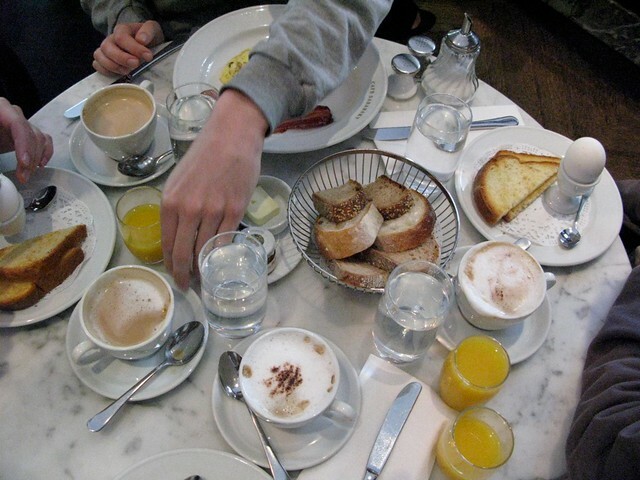 We were at Cafe Sabarsky, one of my favorite places in New York, and Morgan recommended the Wiener Frühstück for breakfast: a continental breakfast of orangensaft, ein weiches ei, weißbrot, butter, marmelade & honig von staud. 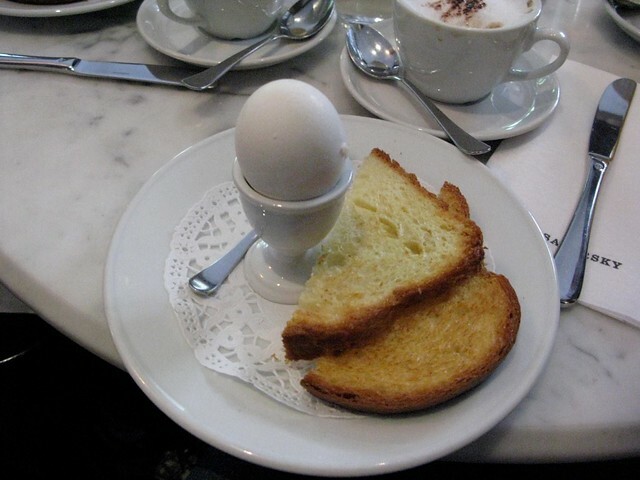 Translation: coffee, orange juice, brioche toast, country bread, butter, jam, honey from Staud and, our subject today, a soft-boiled egg. 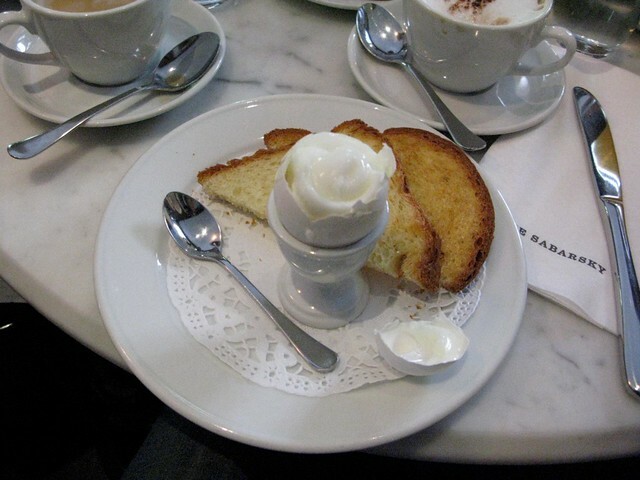 The Europeans among you will probably find it shocking that I’d never before had a soft-boiled egg. I’d definitely had my fair share of hard-boiled eggs: as I once wrote about in a piece I called “Two Grandmothers”, my dad’s step-mother Marna used to make egg salad whenever we’d visit. I ate a lot of egg salad growing up. But soft-boiled eggs? This would be my first. At last, you can plunge your spoon down into the eggy depths and what you pull out will be unlike any egg you’ve had before. It’ll be soft (as promised in the title)–the whites creamy, the yolks oozy–and all of it will rest beautifully on that toasted piece of brioche. The egg goes fast. Soon you’ll be digging around the table for more food and when you don’t find any, if you’re Craig, you’ll order a side of bacon. The bacon at Cafe Sabarsky, I should point out, is wonderfully cooked: not burnt and brittle, not greasy and raw–just somewhere perfect in between. As for the egg, I’m a convert. I’d like to buy those little egg holders so I can start serving them at home. Maybe I’ll buy a monocle too and white gloves, just to get into the spirit of it all. My Wiener Frühstück will out-wiener the best of them. How Did I Lose 15 Pounds Writing a Cookbook?